The veteran photographer spoke those words on the verge of tears. He, like many of us in the media center, on pit road, and in the grandstands, had been struggling with how to approach Sunday’s season finale for the Verizon IndyCar Series. Justin Wilson’s sudden and terrible passing at Pocono was too fresh a wound, and to anticipate a championship battle less than six days later created so much dissonance that it frequently felt inappropriate. But from fans, drivers, and media alike, there was, it seemed, a shared sense that the Sonoma Raceway was where everyone needed to be, whether it was to mourn or celebrate. It’s this sense of community, and the promoters' respectful handling of it, that I will remember best about Sunday’s race. Thank you to IndyCar, NBC Sports, and especially to Steve Page and the staff of the Sonoma Raceway for putting on an excellent event under very difficult circumstances. James Jakes finished last in Sunday’s GoPro Grand Prix of Sonoma at the Sonoma Raceway when his #7 MediaTech / MavTV Honda was involved in a single-car crash that ended his run after 63 of the race’s 85 laps. The finish was Jakes’ first of the 2015 season, his first since this same event in 2013, and came in his 66th career start. This year, Jakes returned from a one-year absence in the Verizon IndyCar Series to drive for Schmidt-Peterson Motorsports, an entry vacated following last October’s injury suffered by rookie driver Mikhail Aleshin at Fontana. Aleshin made his return to the series at Sonoma race as Jakes’ teammate in the #77. Also present at the track was fellow teammate Conor Daly, last in this year’s Indianaplis 500 after an exhaust issue on the pace laps, who was acting as spotter for the Schmidt-Peterson team. Jakes entered the race 16th in points but had earned his second career podium in the rain-shortened Grand Prix of Louisiana, and Pocono saw him score his fourth top-ten finish of the season. Jakes was 21st-fastest in Friday’s nearly four-hour practice session and was slowest in the final two practices. He turned in a lap of 110.223 mph in qualifying Group 2, good enough for 22nd on the starting grid. Starting in the 25th and final spot in Sunday’s field was Jack Hawksworth, who was having a difficult weekend. Hawksworth’s #41 ABC Supply Honda, the second team out of A.J. Foyt’s stables, made several trips through the dirt at the Turn 9 chicane, and one of them caused his car to leak fluid in qualifying, causing a red flag before Round 2. Hawksworth held the final starting spot when the race started, but he was passed by rookie Gabby Chaves by the completion of Lap 1. The first 32 laps of the race saw several early pit stops, and many drivers took turns running in the last spot. Helio Castroneves took it on Lap 3 after an unsheduled stop for a broken wing on his #3 Hitachi Chevrolet. Hawksworth returned to 25th on Lap 5, then traded with Tristan Vautier in Dale Coyne’s #19 Honda, the team Justin Wilson carried to his final career victory at Texas in 2012. Hawksworth ran last on Lap 7, Chaves again on Lap 8, then Monaco native Stefano Coletti in KV Racing’s grey #4 Chevrolet. Vautier took the position on Lap 24 and was still running there when the first caution of the afternoon came out. Luca Filippi was back in CFH Racing’s #20 Fuzzy’s Vodka Chevrolet which he’d taken to a podium with a runner-up finish at Tornoto in July. Filippi was running mid-pack when the #20 slowed coming off Turn 11 and crept past the media center. It first appeared to be a transmission issue as Filippi managed to make it around the rest of the track at a reduced speed, but when he made it to pit road, the crew was spending more time on the systems in the nose of the car. Filippi fell to last, losing 5 laps as he sat on pit road, and when asked, crew members were unable to give information on what was wrong with the car. Regardless, the team managed to get the #20 re-fired just in time for the restart, and he continued under power. He held the 25th spot until Jakes found trouble in Turn 9. Jakes was running 10th, but was complaining of brake issues as the race neared the end. Apparently, the brakes went away completely at the entrance of the chicane, and he made contact with the outside wall before he hit the tire barriers with the left side of his car. Fortunately, he climbed out uninjured, but the #7 was done for the afternoon. This writer was unable to reach Jakes for comment on the accident, but he was able to ride his scooter out of the garage area. 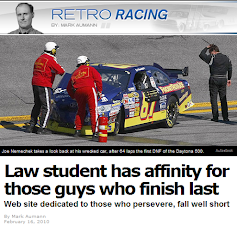 Jakes was the only retiree from Sunday’s race. Filippi remained five laps down at the finish while Vautier lost three circuits after issues of his own. The only other lapped machines were those of Carlos Munoz in the #26 AndrettiTV.com Honda and outside-polesitter and 6th-place points driver Josef Newgarden, whose #67 Hartman Oil Chevrolet lost valuable time after a small pit fire late in the event. Ryan Briscoe, a past Sonoma winner and one of Jakes’ teammates, turned in a sterling 5th-place finish in the #5 Arrow / Lucas Oil Honda. Briscoe finished with open track ahead of 6th-place Juan Pablo Montoya, who needed to pass Briscoe in order to beat race winner Scott Dixon for the series championship. James Hinchcliffe, the season-opening driver of the #5, made his return to the cockpit on Thursday when he drove the Astor Cup across the Golden Gate Bridge for a promotional event. Mikhail Aleshin finished 10th in his return to IndyCar, his second-straight top-ten finish at the track. Equally impressive on the day were Rodolfo Gonzalez, who came home 9th in Dale Coyne’s #18 Honda after finishing no better than 18th in his five previous starts, and Sebastian Saavedra, who passed Marco Andretti for the lead under green on Lap 20 before settling for 13th in Chip Ganassi’s #8 AFS Chevrolet. 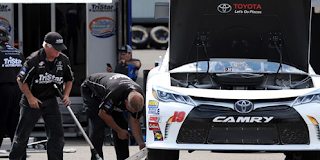 Jeff Green picked up the 75th last-place finish of his NASCAR XFINITY Series career in Saturday’s Road America 180 at Road America when his unsponsored #19 TriStar Motorsports Toyota fell out with transmission issues after he completed 2 of the race’s 45 laps. The finish was Green’s 15th of the season, equaling his single-season record set in 2013. It’s also his 8th last-place run in a row, once again breaking his own record of 7 he set just last week at Bristol. Green is entered in the #19 again for this Saturday’s VFW Sport Clips Help A Hero 200 at Darlington, where he can break both records with another 40th. Qualifying was rained-out for Saturday’s race, so Green fell back on his 30th-fastest time in the opening practice session. He did not participate in Happy Hour. The 40th starting spot in Saturday’s field went to stuntman Stanton Barrett, who was making his 4th start of the season for Rick Ware Racing and the first for Ware’s #17. The Ware team struggled with the car all weekend, unable to complete a lap in either practice session, and the Barcodemedia.net / 4Caring.org Ford was given the 40th starting spot based on qualifying draw. On the first lap, however, Jeremy Clements’ team was struggling to get the #51 RepairableVehicles.com Chevrolet started, dropping Clements from 11th on the grid to last. Once the race started, road course ringer Tomy Drissi’s #26 Arthritis Foundation Toyota made contact with the outside wall and stopped in the gravel trap outside Turn 5, drawing the first yellow of the day. On Lap 3, Clements returned to the track two laps down while Green surrendered 30th to join Drissi in the garage. Drissi looked poised to end Green’s streak until he returned to the track on Lap 9, dropping Green to last on Lap 10. Drissi finished 36th while Clements came home 28th. Barrett, the last-place starter, was inside the Top 20 on the final lap when he tangled with Ross Chastain’s #01 G&K Services Chevrolet coming off the final corner, dropping them to 26th and 27th, respectively. Between Green and Drissi in the Bottom Five were Morgan Shepherd, who has now finished in the final five positions in all 14 of his starts in 2015, Derek White, who took a turn in his own #40 MBM Motorsports Dodge while Josh Reaume ran in the Truck Series in Canada, and Cale Conley, who leaked fluid on the track when the rear gear failed on his #14 Iraq & Afghanistan Veterans of America Toyota. Perhaps the biggest surprise in Sunday’s race was defending LASTCAR XFINITY Series champion Blake Koch, who threatened to pull the upset late in the event. In 136 previous starts over seven seasons on the tour, Koch had finished no better than 11th in the 2013 finale at Homestead and no better than 18th this season. But on Lap 35, Koch took the lead from Paul Menard and chose to stay out during a long caution flag for polesitter Ben Rhodes’ stalled car. Then with just five laps remaining, Koch’s battery gave out and the car failed to restart, leaving him 21st at the finish. While TriStar remains winless in 11 Cup and 6 XFINITY Series seasons, both driver and team have prospects: just two weeks ago, it was announced that Koch would return to TriStar in 2016 with sponsor LeafFilter Gutter Protection on his #8. *This is Green’s third last-place finish in the last four XFINITY Series races at Road America. 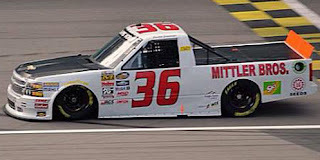 Robert Mitten picked up the 1st last-place finish of his NASCAR Camping World Truck Series career in Sunday’s Chevrolet Silverado 250 at Canadian Tire Motorsport Park (Mosport) when his unsponsored #53 NDS Motorsports RAM failed to start the event. The finish occurred in what was to be Mitten’s series debut. 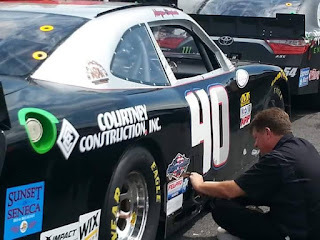 NDS Motorsports, owned by Robert Torriere, has fielded racers in stock car road course events since 2005, when Travis Kvapil came home 25th in an XFINITY Series race at Watkins Glen. 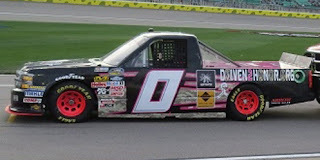 The team’s best performances have come with NASCAR Canadian Tire Series star Andrew Ranger, who in 2011 finished 6th in the XFINITY race at Road America, then was 5th in the team’s Truck Series debut at Mosport. This year, Mitten was set to run the same 2013 RAM that Ranger drove that day. It would be the second time this season that driver and team would work together - during the ARCA race at New Jersey Motorsports Park’s road course in May, Mitten timed in 3rd before a crash left him 25th. Mitten was one of 33 drivers on the preliminary entry list for Sunday’s race, but when Jennifer Jo Cobb withdrew her second truck, the #0 to be driven by defending LASTCAR Truck Series Champion Caleb Roark, the remaining drivers were guaranteed to start the event. Mitten showed surprising speed in practice, putting up the 19th and 18th-fastest laps and he put up the 22nd-fastest lap in qualifying at an average speed of 105.673 mph. Unfortunately, Mitten lost control and backed hard into the tire barrier in Turn 8. The car caught air and stopped on its nose. While no one was injured in the crash, NDS didn’t have a backup at the track, so the team did not start the race. Also unable to start Sunday was Ryan Ellis in MAKE Motorsports’ unsponsored #50 Chevrolet. MAKE had entered both of its trucks at the last minute to fill out the field with Ellis set to roll off 30th and Travis Kvapil 27th in the #1 Burnie Grill Chevrolet. 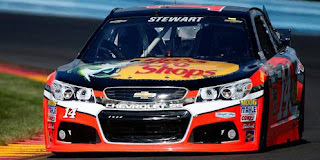 However, Ellis lost an engine leaving pit road on Saturday, and the car’s backup engine wouldn’t fire on Sunday. Kvapil’s #1 was plagued with axle issues and had to make several unscheduled stops in the early stages. Kvapil ended up nine laps down at the finish, but escaped the Bottom Five to come home 24th. The 30th spot on Sunday went to Josh Reaume in another RAM, this one fielded by a new team owned by Margaret Lind. Reaume, who this season has competed primarily in the XFINITY Series for Motorsports Business Management, made his first Truck start in two years. He started at the tail end of the field in Lind’s #44 Obregon Construction LLC machine, but stalled on the backstretch and brought out the first yellow on Lap 15. 29th went to Justin Jennings, who was again in MB Motorsports’ “start-and-park” #36 while English driver Danny Brown made his NASCAR debut in Mike Mittler’s #63. Brown nosed into the tire barrier on Lap 19, leaving him just outside the Bottom Five - the last spot went to B.J. McLeod in Christopher Long’s #45 Tilted Kilt Chevrolet. 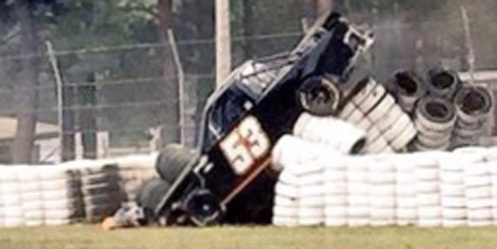 *Mitten is the first qualified driver to be unable to start a Truck Series race since October 18, 1998, when Randy Tolsma was unable to defend his victory at Mesa Marin Raceway in Bakersfield, California after his #78 MCI / Mopar Dodge didn’t start the Dodge California Truck Stop 300. Tolsma had qualified 21st. *This is the first last-place finish for the #53 in a Truck Series race since October 4, 2008, when Justin Hobgood’s #53 Georgia Beef Board Chevrolet lost an engine after 1 lap of the Mountain Dew 250 Fueled by Winn-Dixie at Talladega. Jeff Green picked up the 74th last-place finish of his NASCAR XFINITY Series career in Friday’s Food City 300 at the Bristol Motor Speedway when his unsponsored #19 TriStar Motorsports Toyota fell out with a vibration after he completed 3 of the race’s 302 laps. The finish was Green’s 14th of 2015 and occurred in his 409th series start. It was his 7th in a row, breaking his own consecutive last-place finish record of 6 he set last week at Mid-Ohio. By preventing both Carl Long and Morgan Shepherd from finishing last by 19 and 25 laps, respectively, Green also clinched his fifth LASTCAR XFINITY Series championship and fourth out of the last five. In addition, if Green finishes last in at least 2 of the 11 remaining races in 2015, he will break his own single-season record of 15 last-place finishes set in 2013. 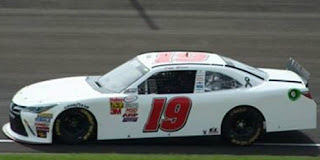 Green joined TriStar Motorsports as a “start-and-park” driver at Indianapolis Raceway Park on July 24, 2010, and in the next race at Iowa scored his 9th career XFINITY Series last-place finish in the #36 Long John Silver’s Chevrolet. In his 144 series starts since the Iowa race, Green has finished last 65 times - a rate of nearly one out of every two starts. Combined with 5 career last-place runs in Cup, Green now has 79 finishes across NASCAR’s top three divisions, 40 more than second-place Joe Nemechek. 40 drivers showed up to make the 40-car field, and Green secured the 31st starting spot with an average speed of 121.029 mph, defending his 32nd-fastest lap in Friday’s only practice session. At the start of the race, it first appeared a first-lap skirmish would prevent Green from taking the spot. Veteran part-timer and pit reporter Hermie Sadler timed in a strong 25th in JGL Racing’s #26 Virginia Lottery Toyota, but faltered at the start and was loose on the apron, dropping him to the tail end of the field behind the #40 Grafoid Dodge of Carl Long in 39th. Then on Lap 3, the 40th spot went to Jordan Anderson, who replaced Mike Harmon in Harmon’s unsponsored #74 Dodge following Anderson’s DNQ for Wednesday’s Truck Series race. However, the next time by, Green pitted from the 34th spot and pulled behind the wall, securing the last spot. As mentioned, Long and Morgan Shepherd in the #89 Racing With Jesus Chevrolet also pulled out during the opening green-flag run. 37th went to owner-driver Benny Gordon, who also lost laps around the time Green pulled out after a battery issue on his #66 VSI / Somerset Regional Water Resources Toyota. Gordon, making his first XFINITY Series start since Daytona in July, completed 65 laps before the electrical issue ended his night. Anderson made several trips to pit road due to a similar electrical issue in his #74 and completed only 170 laps, but he still finished his first XFINITY Series race under power. Finishing 26th on Friday night was 67-year-old series veteran Brad Teague, who ended his NASCAR XFINITY Series career at his home track. Teague made his series debut with a 5th-place run at Bristol in 1982, his final top-ten there thirteen years later, and in between earned his lone series victory at Martinsville in 1987. 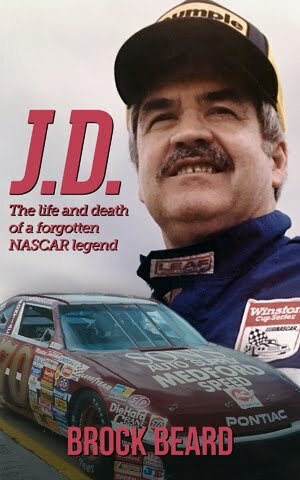 He made 241 XFINITY starts in addition to 9 in the Truck Series and 44 in Sprint Cup, where Martinsville and Bristol were again the scene of his two best finishes - an 11th and 12, respectively - in 1982. Teague retires with 14 last-place finishes across all three of NASCAR’s top divisions - 12 in XFINITY and 2 in Cup - tying him for 16th-most all-time with six other drivers including Terry Labonte, Mark Martin, and Ken Schrader. Teague hadn’t finished last in NASCAR since July 4, 2008, when a vibration stopped his #0 SponsorDavis.com Chevrolet after 4 laps of the Winn-Dixie 250 Powered by Coca-Cola at Daytona. *This is Green’s fourth last-place finish in the previous six XFINITY Series night races at Bristol and his second in row. *The #19 had never before finished last in an XFINITY Series race at Bristol. Tyler Tanner picked up the 1st last-place finish of his NASCAR Camping World Truck Series career in Wednesday’s UNOH 200 presented by ZLOOP at the Bristol Motor Speedway when his #36 Mittler Bros Machine & Tool Chevrolet fell out with brake problems after he completed 12 of the race’s 202 laps. The finish occurred in Tanner’s 9th series start and was the second in a row for MB Motorsports’ #36 team. Bristol was set to be the 23-year-old Auburn, Washington driver’s seventh start of the 2015 season, a year which began with a season-best 15th at Kansas that improved on his previous career-best of 21st. Curiously, that 21st-place run came while driving the same MB Motorsports-owned #36 RAM that Blake Koch parked at Dover earlier that season. This year, Tanner has scored three top-20 finishes for Mittler’s team while parking for him at Dover and for MAKE Motorsports at Michigan. Last week’s last-placer Justin Jennings was tabbed as driver of Mittler’s primary #63, so it fell to Tanner to park the #36. 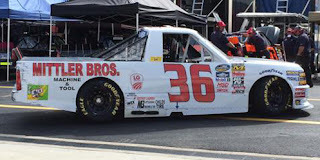 Tanner as one of 39 trucks on the preliminary entry list for the 32-truck Bristol event, and even after Clay Greenfield, Brandon Brown, and Chuck Buchanan, Jr. withdrew, speed in practice was still critical. Tanner timed in 28th of 36 drivers in Tuesday’s opening practice and improved to 26th of 34 in Wednesday’s Happy Hour. In qualifying, Tanner just avoided having to use a provisional with the 27th-fastest lap of 120.885 mph. Missing the race were Jordan Anderson in Mike Harmon’s #74, defending LASTCAR Truck Series Champion Caleb Roark for Jennifer Jo Cobb in the #0, B.J. McLeod, whose Christopher Long-owned #45 had made every Truck Series start it had attempted since the fourth round at Kansas, and 19-year-old Cody Lane in his first Truck Series attempt. Tanner missed driver introductions, keeping him sending him to the back of a field he already trailed, and he left the race under green after 12 circuits. Caleb Holman, the next retiree, completed 112 laps on the night before his #75 Fuel In A Bottle / Food Country USA Chevrolet tangled with Ray Black, Jr., ending a night that began with a strong 8th-place starting spot. In 30th was Daniel Suarez, driving for polesitter Kyle Busch, who had an overheating issue on his Arris Toyota with less than 50 laps to go that resulted in the #51 team’s only third finish worse than 9th all season. 29th went to Mason Mingus, whose unsponsored #15 Billy Boat Motorsports Chevrolet had brake issues, while MAKE Motorsports rounded out the Bottom Five with Ryan Ellis in the #1 Hutch Chevrolet-Buick-GMC sponsored Chevrolet. *This marks the first last-place finish for the #36 in a Truck Series race at Bristol. Jeff Green picked up the 73rd last-place finish of his NASCAR XFINITY Series career in Saturday’s Nationwide Children’s Hospital 200 at the Mid-Ohio Sports Car Course when his unsponsored #19 TriStar Motorsports Toyota fell out with a vibration after he completed 3 of the race’s 75 laps. 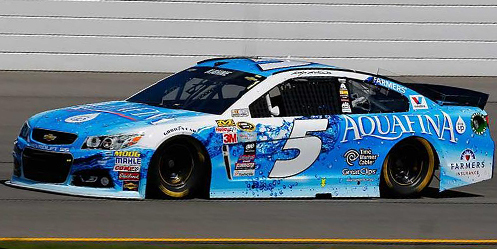 The finish was Green’s thirteenth of the season and his sixth in a row, beating his own NASCAR record streak of five he set last week at Watkins Glen. With just twelve races to go on the XFINITY Series schedule, Green is already a virtual lock for his fifth LASTCAR XFINITY Series title and his fourth in five years. 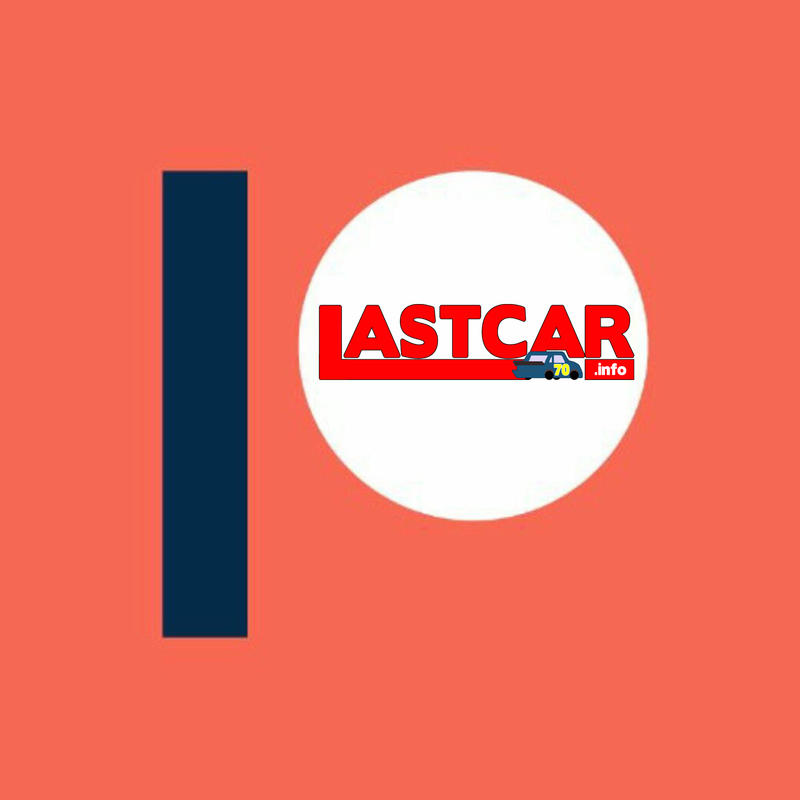 All drivers who have yet to finish last in an XFINITY Series race have now officially been eliminated from LASTCAR title contention as a last-place run in all 12 remaining races would still be one short of Green’s current mark of 13. Among the one-timers, C.J. Faison, Mike Harmon, and Charles Lewandoski are also eliminated as they have fewer than 4 bottom-five finishes and thus in 12 races cannot match Green’s current mark of 16 to force a bottom-ten tiebreaker. Derek White, Carl Long, and Morgan Shepherd can only claim the title if any one of them doubles Green’s current streak and finishes last in all 12 remaining races, but can still lose depending where Green finishes. This is because Green already has 16 bottom-five finishes - one in each of his starts - while all three drivers have fewer starts and Bottom Fives than Green this season. Thus, White will be eliminated if Green gets just one more Bottom Five, Long if Green gets 4 more, and Shepherd if Green gets 8 more - even if any one of them sweeps all 12 last-place runs. Dexter Bean, the only other driver besides Green to finish last twice in 2015, is the only driver who can claim the 2015 LASTCAR XFINITY Series title by finishing last in all 12 of the remaining races this season, no matter what Green does. However, unlike White, Long, and Shepherd, this is the only way Bean can win the title. Bean has only two starts and thus cannot rely on any tiebreakers against Green. Long story short: Derek White, Carl Long, Morgan Shepherd, and Dexter Bean are the only title challengers that remain. Three will be eliminated at Bristol if one of them finishes last in Friday’s race. The fourth will be eliminated if he fails to trail all 11 races after, subject to where Green finishes. If anything else happens, all four will be eliminated and Green will win the title. UPDATE (Monday August 17): Derek White and Dexter Bean are not on the entry list for Bristol while Morgan Shepherd (#89) and Carl Long (#40) are, so Shepherd and Long are now the only two title contenders remaining. So this Friday at Bristol, Green can not only extend his consecutive last-place streak to an unprecedented seven races, but can also clinch the title in the very race he set his four-race streak in 2011. Last week at Mid-Ohio, Green turned laps in the weekend’s opening practice session for the first time in several races, clocking in the 24th-fastest time of 36 drivers after 11 laps around the course. He instead was one of two drivers to sit out Happy Hour on Friday afternoon, then turned in the 33rd-fastest time in qualifying with a lap of 91.758 mph. The 40th starting spot in Saturday’s race went to Scottish driver John Jackson, who became the fourth driver in five 2015 starts to drive Jimmy Means’ second car, #79. Coming to the green flag, Jackson was joined by JD Motorsports teammates Landon Cassill and Michael Self, whose #01 and #0 Chevrolets were sent to the rear for unapproved adjustments. 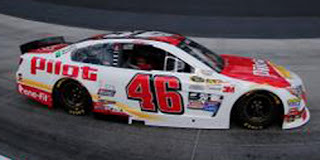 Cassill was sent to the back as he was pulling double-duty with the Cup race in Michigan, and Ryan Ellis turned in a sterling 20th-place starting spot for Cassill in qualifying. At the completion of the first lap, Cassill, Self, and then Jackson moved their way through the field, dropping Josh Reaume and the unsponsored #40 Dodge from Motorsports Business Management to the back of the field. By the time Reaume passed Jackson on Lap 3, the two were racing in their own pack 39 seconds behind the field along with the #74 WCIParts.com Chevrolet of Mike Harmon. The next time by, Green was a the back of the field, 4 seconds behind 39th-place Jackson and 54 seconds behind leader Alex Tagliani. It was at that moment Green pulled behind the wall and out of the race. The NBC leaderboard was updated by Lap 7 showing Green “OUT” for the record-breaking sixth week in a row and second-straight road course. Reaume lost a lap early and followed Green three laps later while Jackson raced toward the 30th spot and was still on the lead lap when he exited with brake issues after 18 circuits. Morgan Shepherd, who rebounded from his DNQ at Watkins Glen to start next to the Reaume’s team car he replaced that same day, left after 33 laps with fuel pump issues. Dylan Kwasinewski lost several laps early with mechanical issues on his #97 Vroom! Brands Chevrolet, but on Lap 59 was passed for the 36th spot by Carlos Contreras, whose first XFINITY start since Richmond ended with a busted suspension with 25 to go. *This is the first last-place finish for both Green and the #19 in an XFINITY Series race at Mid-Ohio. Jeff Green picked up the 71st last-place finish of his NASCAR XFINITY Series career in Saturday’s U.S. Cellular 250 at the Iowa Speedway when his unsponsored #19 TriStar Motorsports Toyota fell out with a vibration after he completed 3 of the race’s 260 laps. The finish was Green’s 11th of the season and his fourth in a row. The streak matches the all-time last-place record Green himself set in August 2011. With another last-place finish next week at Watkins Glen, Green can become the first driver ever to finish last in five consecutive NASCAR races. Saturday’s finish occurred in Green’s 406th series start. At Iowa, Green did not participate in Friday’s opening practice session, but in Happy Hour was the 33rd-fastest of the 39 drivers. He improved further to 32nd in qualifying with an average speed of 127.314 mph. Starting 40th on Saturday night was 25-year-old Zach Bruenger, a short tracker from Illinois with three combined starts in the K&N Pro Series East and the X-1R Pro Cup Series. Bruenger would be making his XFINITY Series debut that night driving owner Jimmy Means’ part-time second entry, the renumbered white #79. Once again, the #79 was a last-minute addition, allowing a full field of 40 to take the green flag. Bruenger held the 40th spot for the first three circuits until Green pulled off the track from the 30th position. Once again, Green was the first driver to retire from the event, locking-up his fourth-straight last-place run. 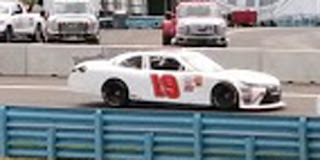 Bruenger came home 38th, exiting after 20 laps with brake issues as the official cause. In between Green and Breunger was the Braille Battery / Grafoid Dodge of 39th-place Josh Reaume, who gave Motorsports Business Management’s #40 team its ninth-straight finish of 37th or worse. Rounding out the Bottom Five were the #89 Racing With Jesus / Barney’s Chevrolet of Morgan Shepherd, now with ten-straight runs of 36th or worse, and the #13 Chevrolet of John Jackson, the Scotsman making his first XFINITY Series start since Chicago in June. 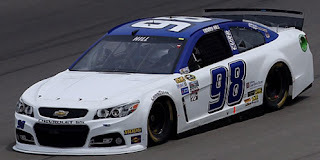 Saturday’s race was also the 904th and final start across NASCAR’s top three divisions for popular veteran driver Kenny Wallace. Wallace achieved his greatest successes in the XFINITY Series, racking up nine victories over 547 series starts, and was runner-up to Bobby Labonte in the 1991 XFINITY championship. 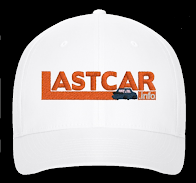 Though he finished last 12 times across NASCAR’s top three divisions, and in 1998 edged David Green for the year’s LASTCAR Cup title, just three of those 12 finishes came in the XFINITY Series. In comparison, Mark Martin, Dale Jarrett, and Dale Earnhardt all trailed five XFINITY races each. *Jeff Green has now finished last in exactly half of the 12 XFINITY Series races run at Iowa since the track joined the circuit in 2009. *This marks the first last-place finish for the #19 in an XFINITY Series race at Iowa.